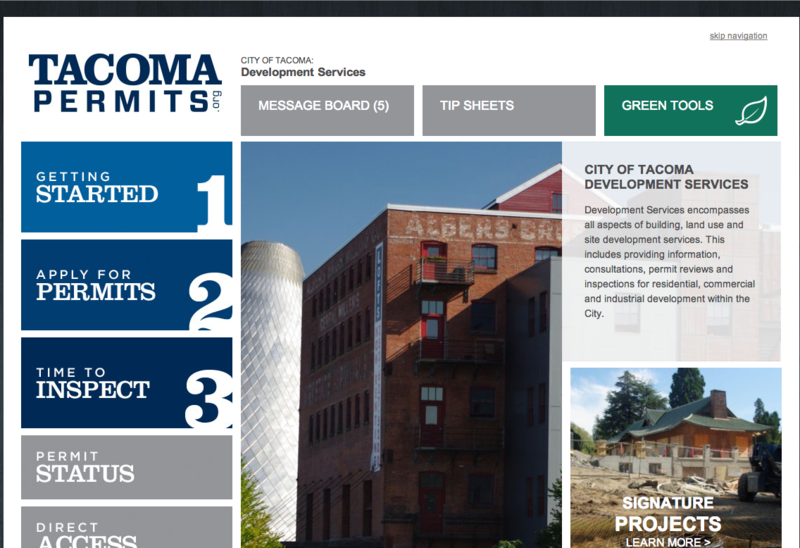 We recently launched a new website for the City of Tacoma Development Services division. These are the people at the city who approve permitting for building, land use and site development. They wanted a much more user friendly site that provided up to date permitting information, news and easy access to a project’s approval status. 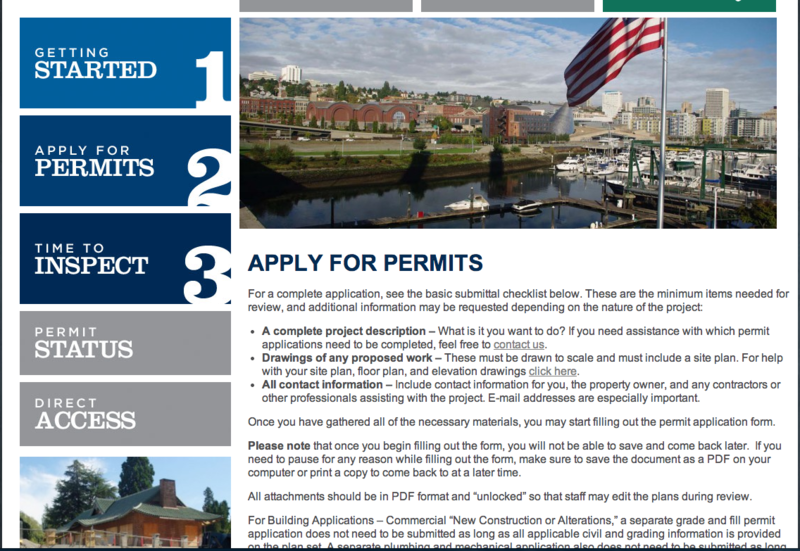 After Rusty George Creative and Data Imagery launched a successful project for TacomaMeansBusiness.com, the Development Services division approached us for an overhaul of their permitting website. 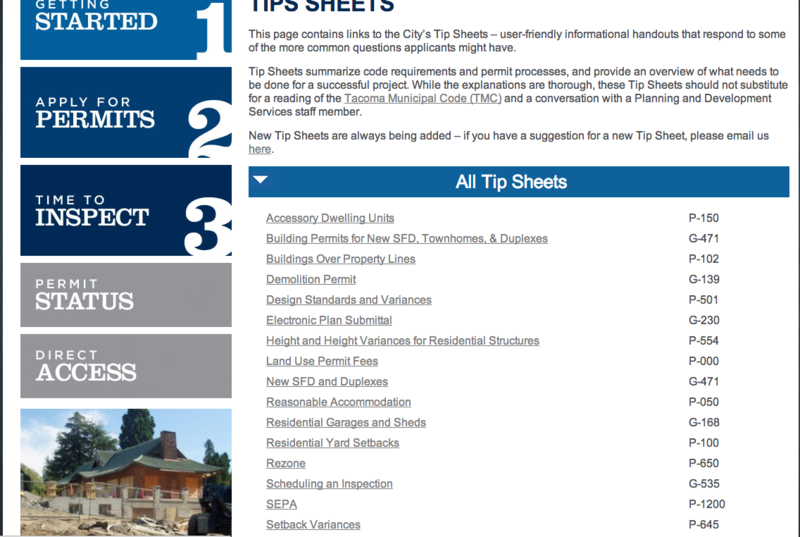 In developing the site, a key requirement for the city was having a logical organization of their content and help files that aid in the permitting process. Different sections needed to have quick access to articles. We developed the ability for the city to easily add or remove content articles that would show up on different pages with titles where users could click to show detailed content. This design gives site users the ability to quickly browse content while being able to view detailed article information. In addition to the content organization features of the site, we added a message board, customized search, signature projects functionality and features for ADA compliance.